What is Minting? Get the definition here. Minting is defined as the computer process of validating information, creating a new block and recording that information into the blockchain. Imagine the blockchain as a digital book of records. Just like paper pages, these digital pages can only store a limited amount of information. So new pages are created regularly to store more information. Those pages are blocks in the blockchain. To be eligible to participate, users are required to deposit and risk a large number of cryptocurrency, this is known as a “stake”. 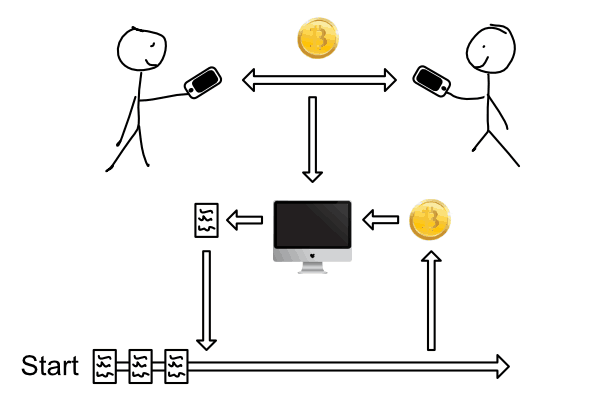 People who provide a stake (known as “forgers”) are randomly selected to record and verify information on the blockchain. Forgers participating in proof of stake cannot spend or move their stake. If they are caught recording false information or doing something against the rules, they risk forfeiting their entire stake. In most proof of stake systems, the larger your stake the greater your chances of being selected to record and verify the blockchain. Forgers are willing to endure the cost and risks of staking for the chance to earn transaction fees paid by users of the system. With over 1,500 cryptocurrencies and many more being created each month, many new interesting ways of maintaining the blockchain are regularly being explored and discovered. See mining for more information.